Saturday's are my busy days and last Saturday was no different. It's the day where I cram an entire weeks worth of projects into one day because the week has gone by without anything getting completed. Sunday is for rest and family time, so that only leaves one day. There was a long list this past weekend. So when KJB got up for his morning run, I started the coffee IV pot and sat down with my planner. Ahh, my planner. My little, perfect place in the world. The place where stickers fit perfectly inside boxes. The place where function meets decoration. The place where colors coordinate and lists are made. Ahh, lists. Only slightly more satisfying than a sticker fitting perfectly inside the box is checking off a task on a to-do list. Yes, I'm one of those people who write things down so they can check them off. It's satisfaction in it's purest form. Today I wanted to share a free printable of these adorable heart checklists. They are sized to fit the box size of an Erin Condren, but you can use these babies anywhere. I love to print them off on sticker paper to make them super simple to put down, but you could also use a glue stick, a tape runner, or a Xyron sticker maker. You could put them in your planner or on a post-it note. Use them to make a grocery list, a honey-do list, or a packing list. The little flag ends add to the fun factor. 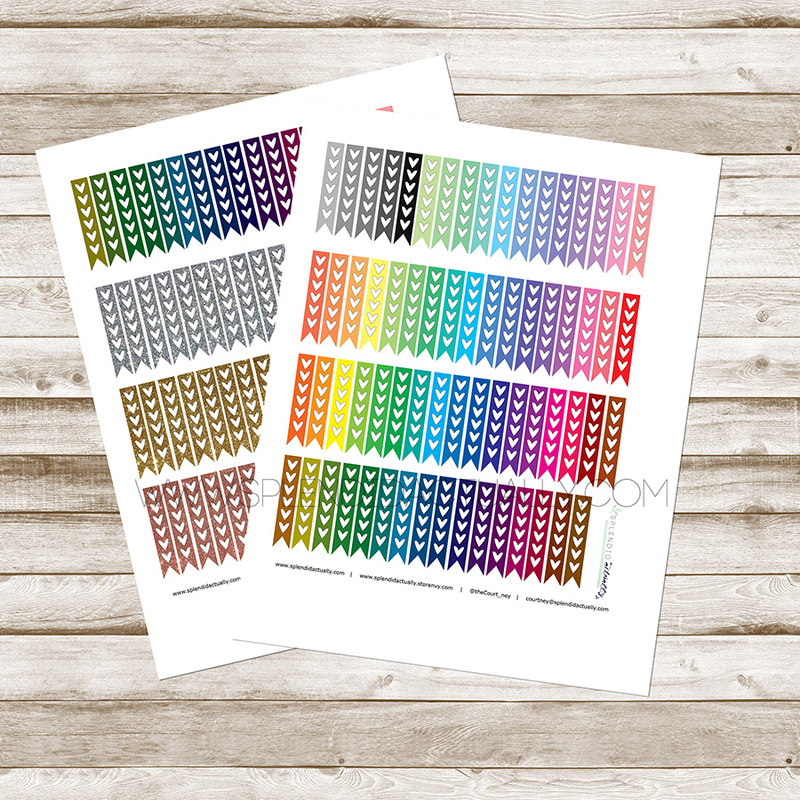 Print as many as you would like to get multiples of your favorite color. I also added a ton of silver, gold, and rose gold glitter flags for all you glitter lovers. Download the PDF's here. Share your lists on Instagram and tag them #thelistlife so I can see how you use your flags to get things done!